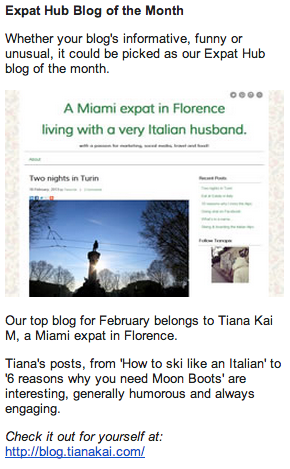 Yahoo, I was chosen as Blog of the Month… this past February. 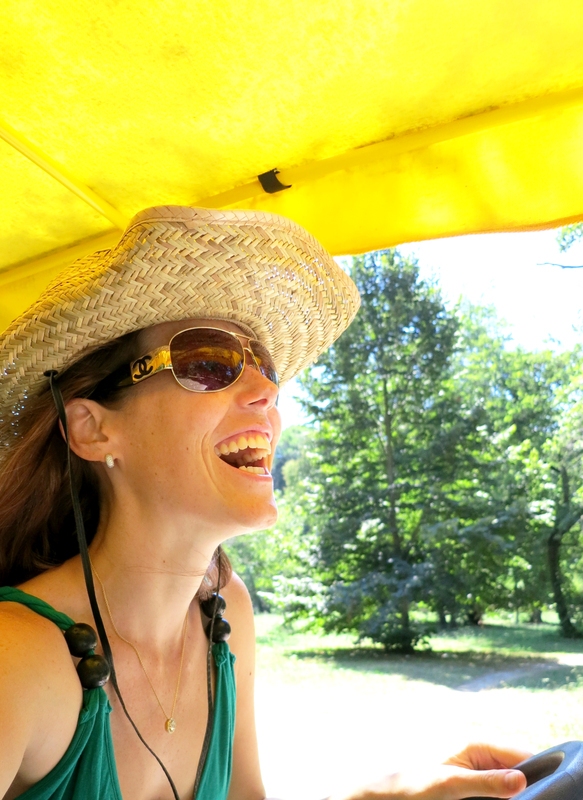 Blogging about culture with a touch of humor seemed to have gotten The Expat Hub‘s attention. It’s nice to know that others find me as funny as I find myself. The Expat Hub strives to be a top online stop for expatriate advice, support and information. Totally check them out on Facebook and Twitter! They seemed to have taken a liking to my laugh provoking How to ski like an Italian and 6 reasons why you need Moon Boots articles. It’s been fun living in Italy and witnessing how different cultures are and how they dictate what one considers rude or weird. At times it can be a struggle living in Italy with an American mentally, but it actually just makes me laugh… maybe a nervous laugh because somethings seem so odd and irrational to me. However, when I hear someone who has been living in Italy for more than 3 years complaining often it makes me wonder if they realize that they are no longer in the States. We all have to learn how to laugh it off.